Who are your most controversial celebs and what controversies do you think they have courted the most that just wont go away? 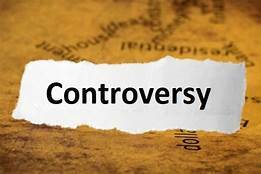 Are their Controversies Negative or Positive? That one is controversy itself, chai! The term Controversy should be changed to Tonto. But my love for her is like a stolen kiss, i just can’t explain it. I concur. Tiannah is something else. Tontoh Dikeh when it comes to a baby’s father. Negative. Not condemning her because I’ve not been in her shoes but I feel not everything should make it to social media if not for anything, for her son’s sake. All the ATUresses are controversial. Anybody wey no dey appear for movies but dey live above her means dey controversial. ATUresses are allergic to husbands and when them marry, them dey offload am quick quick. Them lives na for social mmebi them dey live am; and them always dey bitter about horsebands or forkboys wey don show them shege! Them mouth bad well well and some of them dey use them horsebands as boy boy. Them exMIL na winch. Them toto dey expand and contract. And before you say toto di ike (VJ dey strong), them go chant Jesus, Jesus, god, god -which god sef -na Baal abi na Molech? Make una name them na? Una wan say na me talk say sheet dey for (side) chicken nyansh? Thank God sha say their mama’s no shoot them out abi? How can someone be that calm please, how can someone be that cool. I loved bambam the first day i saw her. And teddy said bambam is the one, have been screaming since morning. OMG! I am still wowed by everything the psychologist said about Bam, shes not human. Ahneeka and Teddy are not cool with each other . Ahneeka is confrontational and doesn’t like being corrected. Sort of a Tom boy . Of course Tonto Like and her ex hubby issues! The drama never stop! I just love how Rihanna is/still is the baddest bvtch, topping her game..with no negative controversies attached. She remains my favorite celebrity of all time.. If you only knew. Celebrities are not people to be worshiped. I became aware of this after studying about Aleister Crowley. A lot of celebrities (like Jay-Z who has even worn clothes with Crowley’s name on it) ascribe to his philosophy—the doctrine of Lucifer. Alex , for husband snatching. Be like say something dey worry you. Don't go and get busy. Tonto, Toke , Cece, Tobi, Alex, Churchill, Nina, Toyinlawni, black face. .
Tontoh dikeh is the king of them all. That lady has a thick skin. Saying anything just to be on the showbiz, i wonder how she does. Stella did you see the tag on when Alex was rude to Ebuka?